CHARLOTTE, NC – August 28, 2017 – Tech company SentryOne® announced today that it will relocate its headquarters from Huntersville to Charlotte's Lower South End neighborhood, also known as LoSo. The move supports the company's accelerating growth and the need for more space to accommodate its work force. The company is a global market leader in technology solutions that help companies optimize performance across the Microsoft Data Platform. SentryOne will move into the renovated Bowers Fiber Building on Yancey Rd., which has been purchased and developed by White Point Partners. SentryOne is running out of room at its current location in the Northpointe Executive Park building in Huntersville and has plans to grow its employee base by 50 percent by the end of the year, bringing its total employee count to about 130. 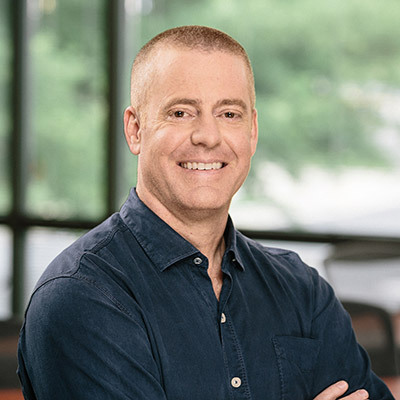 "SentryOne is known for creative engineering and unrivaled customer service, which has established us as a destination employer and helped our team grow from 50 to 90 people over the last two years," said SentryOne CEO Greg Gonzalez. "Our new space is an investment in our people, and it will increase the value SentryOne delivers to our clients, partners and community." The company has surveyed team members to identify the features they want in the new office as part of a collaborative design process with internationally known architecture and design firm Gensler. "We want our space to represent our company's personality, and we don’t want to miss any detail or consideration. This process is generating a lot of excitement with our team, even though our move-in date is still months away," Gonzalez said. At 31,300 square feet, the new headquarters will feature 19-foot ceilings, a rooftop deck with a view of uptown Charlotte's skyline, a fitness facility and a pub. The new office will focus on sustainable and energy efficient design. It will include improved technology for remote work and a flexible mix of open and private work spaces. SentryOne's office space in the Bowers building will be located beside the new Artisanal Brewing Ventures and surrounded by other destinations, such as Olde Mecklenburg Brewery and Queen Park Social. It is just steps from the Lynx Blue Line, giving team members easy access to the light rail for commuting. "We believe Lower South End is a better fit for SentryOne's work hard, play hard culture, and the central location will help us attract knowledge workers from all over the Charlotte region," Gonzalez said. The company will provide special incentives to retain current workers who may face a longer commute due to the relocation, including reimbursement for toll lane expenses, better remote work options and more flexible work hours. SentryOne plans to move into the new building in early 2018. SentryOne is known for creative engineering and unrivaled customer service, which has established us as a destination employer and helped our team grow from 50 to 90 people over the last two years. Our new space is an investment in our people, and it will increase the value SentryOne delivers to our clients, partners and community.